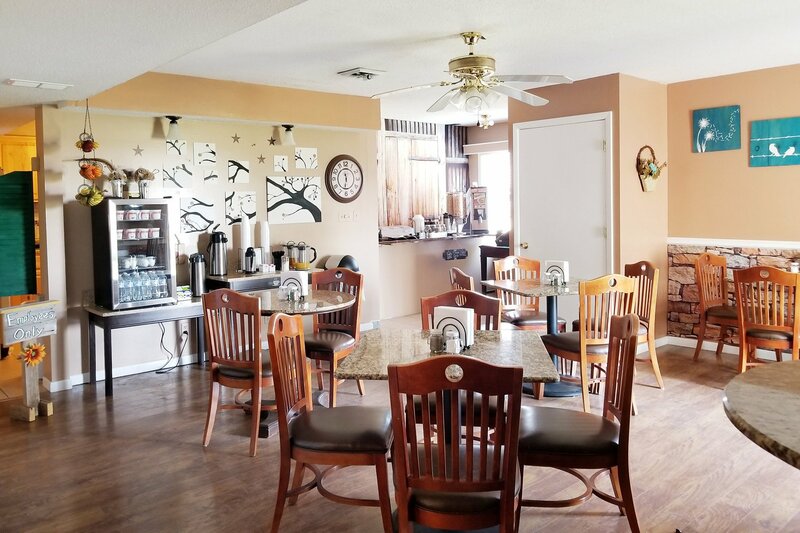 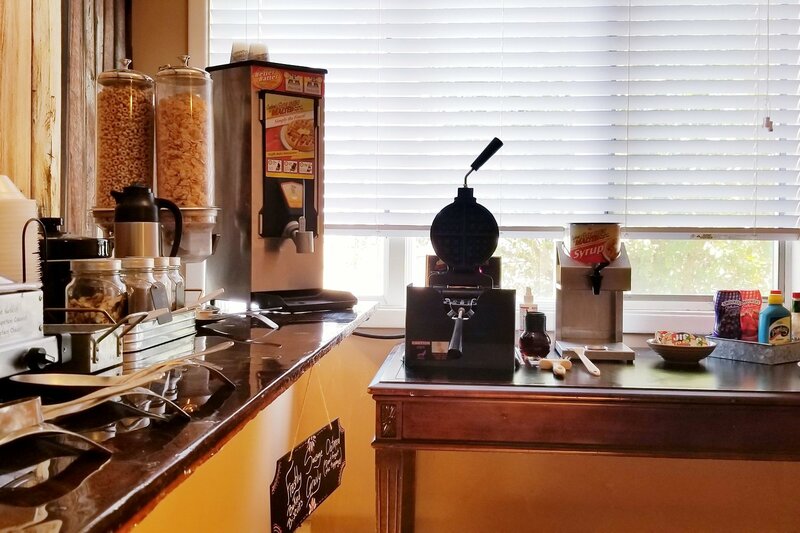 Our complimentary hot homemade breakfast includes biscuits and gravy, hot waffles, your choice of hot and cold cereals, yogurt, fresh fruit, boiled eggs, juice, coffee, and more! 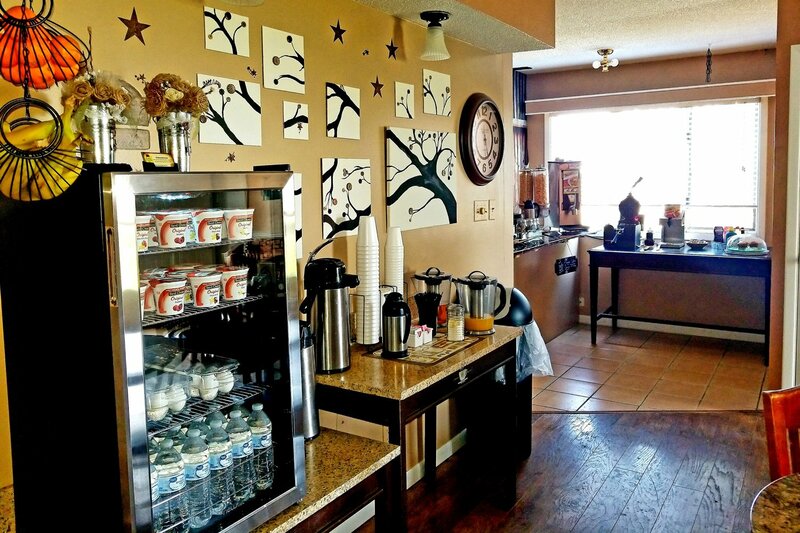 We like to add variety each day so choices may vary! 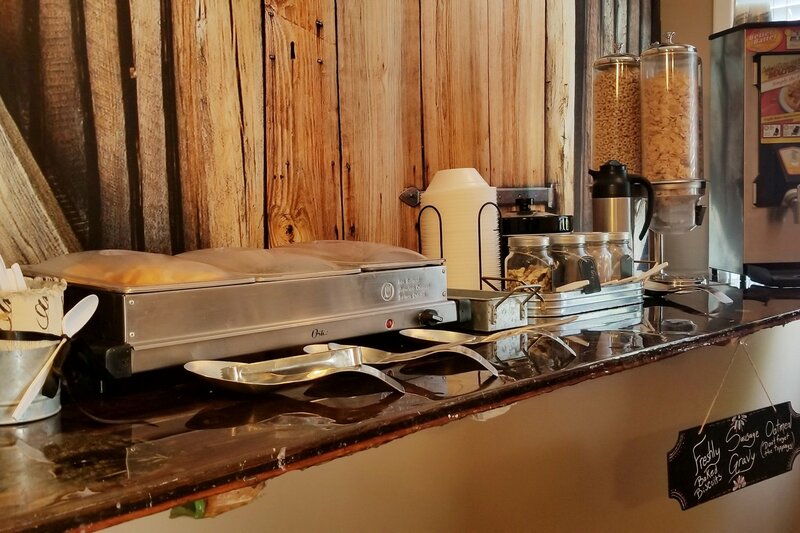 Breakfast is served from 5:30 a.m. to 9:00 a.m. daily.